Error representation formulas and a posteriori error estimates for numerical solutions of hyperbolic conservation laws are considered with specialized variants given for the Godunov finite volume and discontinuous Galerkin finite element methods. The error representation formulas utilize the solution of a dual problem to capture the nonlocal error behavior present in hyperbolic problems. The error representation formulas also provide a framework for understanding superconvergence properties of functionals and fundamental differences between finite element and Godunov finite volume methods. Computable error estimates are then constructed for practical implementation in computer codes. 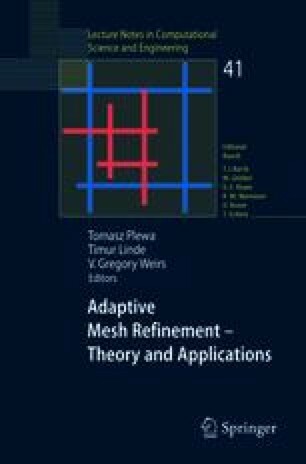 The error representation formulas and computable error estimates also suggest a straightforward strategy for mesh adaptivity which is demonstrated on numerical hyperbolic problems of interest.